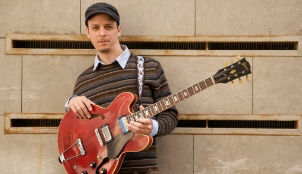 Here is a link to a two hour clinic given by Kurt Rosenwinkle. Year after year I encounter than same issue with my private students, their total inability to read in flat keys. It's is the single biggest source of frustration that I have in my teaching practice. I seriously want to strangle some of these kids when over and over again they forget what a Gb or even an Eb is. Some of them can't even cope with the key of F. I'm sometimes amazed at myself for keeping my cool when these usually smart kids they exhibit such serious (but selective) signs of profound mental retardation. This aversion to flats is something that I've come to see as a phobia or even a brain disorder, something like color blindness. It could be called flat deficiency. Part of the problem is that these kids have no early experience playing in keys with a lot of flats (or even a lot of sharps) because early band method books and orchestrations almost entirely avoid the more challenging keys. One of my students the other day explained that the reason for this was that if his middle school band attempted to play a piece of music in the key of concert Gb it would be a complete train wreck from the first note. Band directors may have inherent masochistic tendencies, but they do want to their bands to sound good at concert time and easy keys are the best way to do this. In all seriousness, Success In All Keys is the best way that I've found to help my students play in unfamiliar key signatures. Proficiency in all keys is an important musical skill. However, traditional etude and method books often combine difficult key signatures with a variety of other challenges such as advanced rhythms, extremes in range, accidentals and ornamentation. Many students become overwhelmed and discouraged by this complexity and struggle to make progress. In Success In All Keys, the rhythms are simple, ranges are moderate and there are no accidentals or ornaments. With a singular focus on key signatures, learning to play in all keys becomes achievable, not intimidating. Every key includes two pages of famous excerpts and an original All Keys Etude. Keys with three or more sharps or flats also feature three additional original etudes, which are different for each key. Enharmonic transpositions of all of the materials in the keys of C#, Db, F# and Gb are included for further in-depth study. Success In All Keys is the most comprehensive, practical collection of music dedicated to this subject. Until now, repetition of scales and patterns has been the default approach to playing in all keys. With this book, students can now practice in all keys by playing melodies, which they are sure to find more fun and effective than exercises. * Rhythms are simple, ranges are moderate and there are no accidentals or ornaments. The key signature is the only challenge presented. * For every key with 3 or more sharps/flats, there are 3 original etudes, which are different for each key. * Every key also features an original etude transposed to all keys and two pages of famous excerpts. * Enharmonic transpositions of all materials in the keys of C#, Db, F# and Gb are included for further in-depth study. * The first book of its kind and the most comprehensive, practical collection of music dedicated to playing in all keys. * Students will enjoy playing etudes and excerpts in all keys much more than repetition of scales and patterns. Therefore, they are likely to practice more and make more progress in this area. 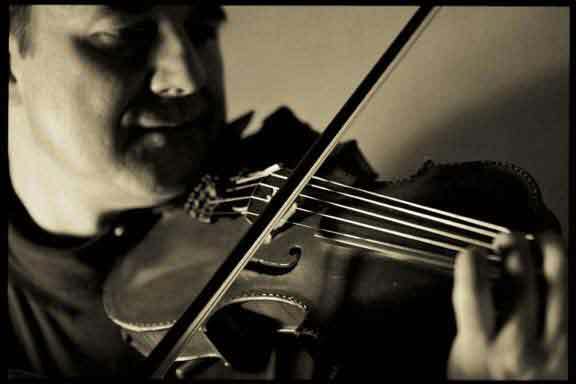 * An excellent addition to private lessons, either as weekly assignments or sight-reading. * With so much music included, students will have the opportunity to become very comfortable playing in all keys. * Available for all band and orchestra instruments. The more students that use this book, the less time spent in rehearsals correcting key signature mistakes. * An excellent source of melodies for advanced students working on transposition. Q: What is the recommended age group/skill level for Success In All Keys? A: Starting with advanced junior high students, virtually any age group can benefit from Success In All Keys. Younger students will benefit by being exposed to all keys in our unique format and will quickly be encouraged by the results. Even the most advanced players can utilize the materials in Success In All Keys to work on orchestral transposition skills. And, of course, there are benefits for every skill level in between. Please see our features & benefits page for a more complete list. Q: Are these books an ensemble method or individual study? A: Success In All Keys and Low Range Studies are both individual study books. Q: How does downloading a pdf copy of the book work? A: Once you purchase a pdf copy of a book, you will receive an email with a link that will begin your download. Q: Is there a discount for ordering multiple books? A: If your music program or store is interested in purchasing 20 or more books, please contact us for special pricing. Q: What are the difference between the electric bass and double bass versions of Success In All Keys? A: The music is the same in both books. The double bass version includes articulations and markings such as fingerings, bowings, etc. The electric bass version is “notes only.” Please download the free samples in the products page to compare. Q: What is the difference between the bass trombone and trombone version of Success In All Keys? A: The bass trombone book has been adapted to utilize the notes that can be played by bass trombone, but not by a regular tenor trombone without an F attachment. I need to let my readers know that after much consideration I am now selling ad space here on Casa Valdez Studios. I've had Google ads on here for quite a while now and even that was a tough decision to make. I wanted this blog to by a trusted independent source of information for my readers, not just a crass commercial excuse to hawk gear like many other music sites. All of the unique educational resources here are offered free for download and that is a good part of the reason why this blog is now ranked 9th among all the Jazz blogs on the Internet. Casa Valdez Studios now gets over 400 visits a day and over 25,000 page views a month, with loyal readers all over the globe. The new sponsors that are advertising here are selling products that I personally use and feel totally confident standing behind. I will not accept ads for products that I do not totally love. The Google ads that come up at Google's whim are another story entirely, so please don't hold me responsible for the Mexican time share or Viagra ads that may pop up once in a while. I try to block Google ads that are not related to music, but the system isn't foolproof. My first sponsors are Gigbook's iPad app developer Deep Dish Design and Eric Allen, author of the book Success In All Keys. Soon I expect to be adding advertising for Drake saxophone mouthpieces, which I am now personally recommending to all of my private saxophone students. I'd like to promote products that I personally believe rather than the random products that come up in the Adsense Google ads that I have on this site. I've put thousands of hours into making this site one of the most trusted sources of Jazz educational resources on the net, so I just wanted to be sure to explain this new advertising policy to my readers. Thanks. 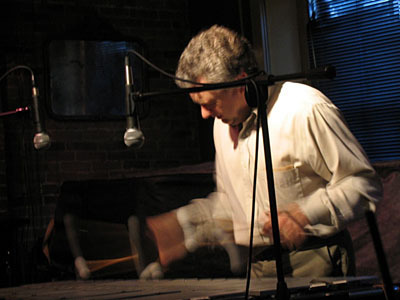 Over at Soundbyte Culture blog there is an incredible Warne Marsh transcription done by pianist/blogger T.J. Martley. T.J. was kind enough to include a Bb and a concert chart, along with an MP3 of the original recording. 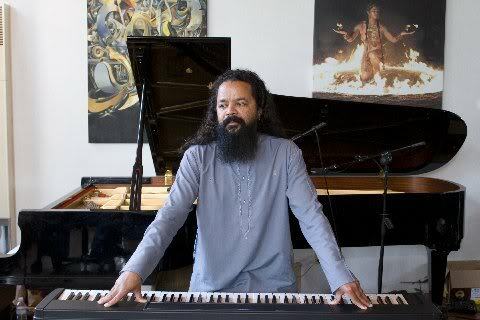 He also has a YouTube video of him playing piano along with the original recording. After checking this solo out there should be no doubt in your mind that Warne was one the great improvisors on the 20th century. Saxophonist/educator Matt Otto has just released Vol. II of his Modern Jazz Vocabulary series. The first volume dealt with modes of the Harmonic Major Scale, which I personally got a lot of new great ideas from working out of. Vol. II consists entirely of ii- V7s. There are several pages of phrases in each and every key. There are are ton of other ii- V7 books out there and I can honestly say that Otto's new book blows them all away. What makes Otto's book better, you ask? The lines are actually hip, in stark contrast to the embarrassingly stale and corny patterns that take up a majority of space in most other ii-V7 books. 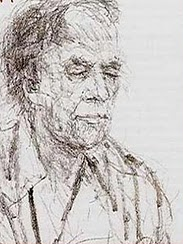 Otto uses many different modern harmonic and melodic devices in his book and the resulting lines are highly sophisticated and unique sounding. Matt's personal style is reflected clearly in this book, which is a good thing because Otto sounds somewhat like a cross between Warne Marsh, George Garzone and Stan Getz. His lines are highly melodic and lyrical while still sounding like cutting edge Post-Bop. I think if I only had one adjective to describe the lines in this book it would be snakey, and I like snakey lines a lot. Actually there are a number of straight-ahead Be-Boppy sounding lines in there as well and when you come across one it's kind of surprising after playing so much super hipness. Pattern books are good for giving you new ideas to incorporate into your own playing. As long as you make an attempt to make the lines your own rather than learning them by rote I think they are a highly effective way to expand your vocabulary. Your source material matters however and if you start with lame patterns you'll end up with a lame vocabulary, even if you put your own slant on the lame patterns. What do they say about turd polishing again? 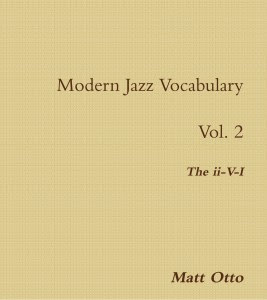 Anyway, you'll find Matt Otto's Modern Jazz Vocabulary Vol. II on my music stand for a while.